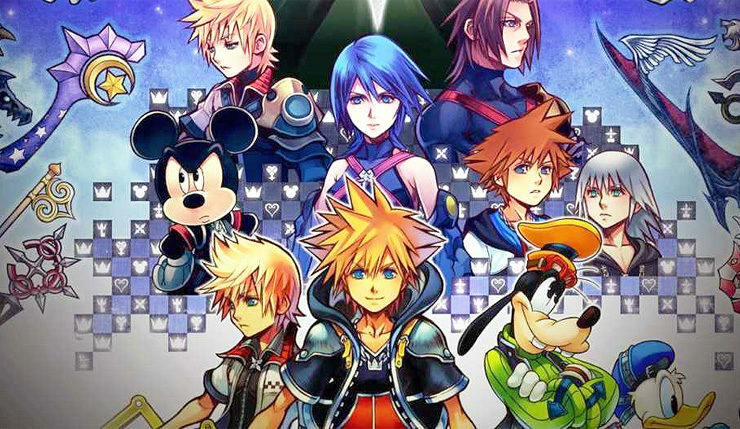 Excited for Kingdom Hearts III, but not up-to-date on the series’ sprawling story? Don’t worry, Square Enix is giving players a chance to catch up – the publisher has just announced Kingdom Hearts: The Story So Far, which collects the entire series to date, specifically the Kingdom Hearts HD 1.5 ReMIX, Kingdom Hearts HD 2.5 ReMIX, and Kingdom Hearts HD 2.8 Final Chapter Prologue compilations. All told, The Story So Far will include six full Kingdom Hearts games and three cinematic compilations for only 40 bucks! That’s a lot of stuff – good luck getting through it all by the time Kingdom Hearts III comes out! Kingdom Hearts HD 1.5 and 2.5 ReMIX were originally released on PS3, but re-released as a package on PS4 in 2017. The PS4 versions run at 60fps. Kingdom Hearts: The Story So Far drops onto PS4 on October 30. Kingdom Hearts III hits Xbox One and PS4 on January 29, 2019.